FACT mix 144: The Black Dog - FACT Magazine: Music News, New Music. April seems to be “legends” month here at FACT – having recently brought you mixes from Greg Wilson and A Guy Called Gerald, today we present a brilliant session from The Black Dog. 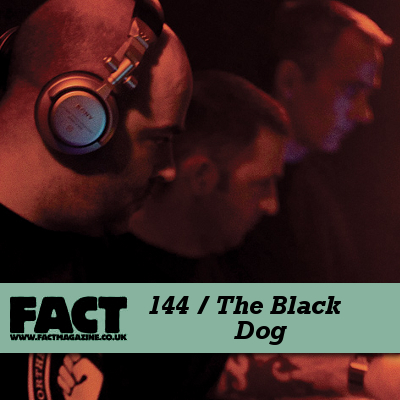 One of the UK’s most iconic and inventive electronic acts, The Black Dog was founded by Ken Downie with Ed Handley and Andy Turner. They released several ear-catching 12″s before signing to Warp Records and delivering the Bytes LP in 1993. 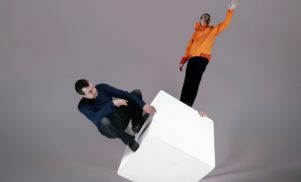 Over the next couple of years and under various aliases (most notably Balil) the group would, along with Aphex Twin and Autechre, help establish and develop an intense, investigative post-rave “listening music” that drew upon breakbeat, Detroit techno, ambient and classical minimalism, and which lent itself to sombre reflection as much as, if not more than, dancing. In 1996, Handley and Turner left The Black Dog to form Plaid. Downie remained active but arguably a little rudderless throughout the nineties, releasing the fine solo effort Music for Adverts (And short films) and working with Steve Ash and Ross Knight on other projects; it wasn’t until 2001 that the ‘Dog really barked back into life. Hooking up with Dust Science’s Richard and Martin Dust, Downie’s creative energies began to flow freely once more, resulting in a hail of new records and live performances, including the full-lengths Radio Scarecrow (2008) and Further Vexations (2009). 2007 saw the release (via Soma) of Book of Dogma, an utterly essential “best of” compilation. Next month comes Music for Real Airports, a brand new album from The Black Dog positioned as a contemporary response to Brian Eno’s seminal but rarely interrogated 1978 ambient work Music For Airports. Going up against Eno in his pomp might seem like a foolhardy pursuit, but Music For Real Airports is a strikingly well-realised and satisfying work, and an ambitious start to the new decade from a group which seems set to innovate and inquire long into the future. The Black Dog’s FACT mix is comprised entirely of remixes of, or by, the group. Hold tight for the tracklist, and in the meantime, get downloading and listening.